How to End Contract for People? Ending contract for persons means that they will no longer be active and won't show up on the Schedule page nor in the Reports. Once the contract has ended they will automatically be moved to the Contract Ended list. 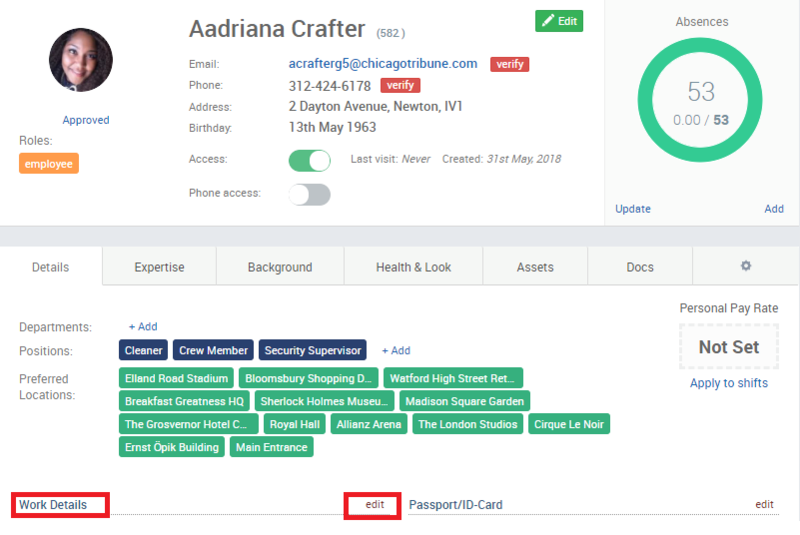 There are two ways to enter a Contract End date for the staff - on the Staff list or on staff member's profile. 1. To end contract for an individual person simply click on the three dots next to their name and from the actions list that opens choose End contract. 2. You can also end contract for multiple persons at once. Select the relevant people by ticking their names, click on the With Selected button and choose End contract from the list. 1. Go into their profile to the Details section and click on Edit. 2. A dialogue box will open where you can enter the contract end date. 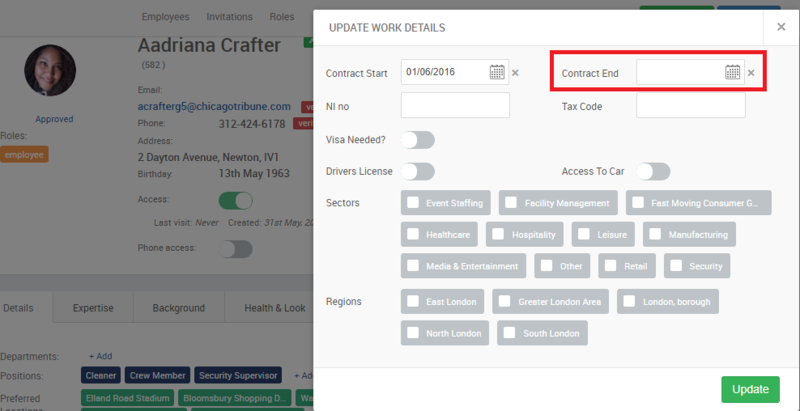 If you wish to move the person to the Contract Ended list immediately then insert a date that is in the past. Click on Update to save the changes. 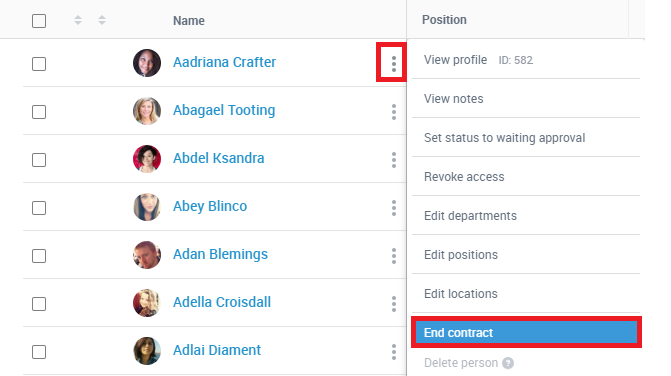 Once the contract end date has passed the person will be moved into the Contract Ended list which you will find if you go to the People list and switch to the Contract Status to Ended view. If you want to make the people active again simply set their contract end date to the future and they will show up everywhere on the system and ready for scheduling. Do you also wish to delete people from the system?